Ask a Third Culture Kid (TCK) this question and you will find it tends to be unsettling. What is home to a TCK? I know my response reflects the fact that Asia runs through my veins. My “Sweet Home Alabama” is more of “Majulah Singapura”. When my kids refer to fast food their mind wonders to Dad taking them to the Golden Arches, BK, or Chick-Fil-A; mine is fresh lime, satay, roti, curry, laksa, and then polishing it off with an iced kachang, Milo, or Malaysian kopi (coffee). I go back to Asia in my mind often. Hard not to when a culture becomes integrated with the one into which you were born to shape who you are; in other words a blend. Growing up as a minority in a country that became home gave me experiences, relationships, and perspectives that I would never have gained otherwise. I know full well, as I did in 2006, that going back to my Asian home of Singapore would be like I was there yesterday. We were blessed to spend many years there and therefore were able to put down some roots (I have the best schoolmates that anyone could ask for and still in touch with many today) while developing as other TCKs a sense of ‘call of the wild’ and pull of the unknown. So where is this place? I thought the same before we moved there in 1975. The Vietnam War had just ended and stability in the region was not assured. 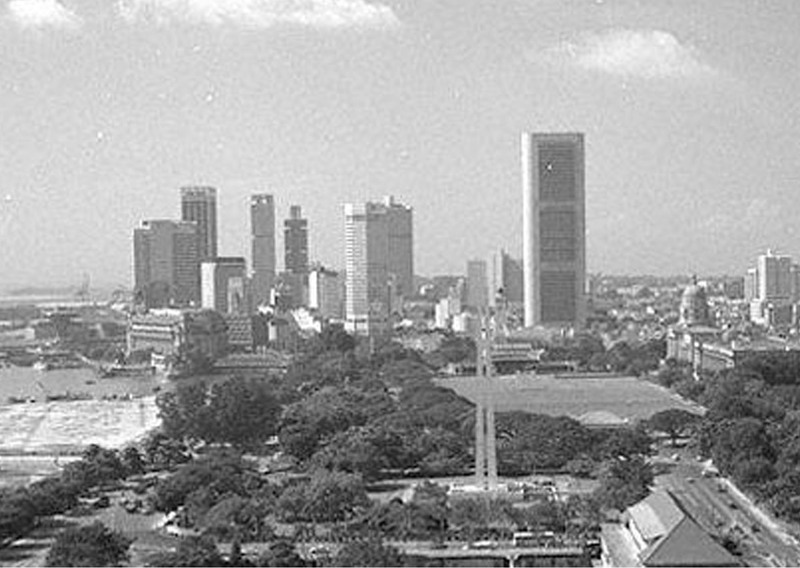 Singapore became an independent nation on August 9, 1965 after being part of Malaysia and before then a British colony; was also occupied by Japan from 1942-45 during WWII. It is strategically located between the Straits of Malacca and South China Sea and is at the southern tip of the Malay peninsula; a causeway connects the two countries. Singapore (translated means ‘Lion City’) consists of 63 islands and is 83 miles north of the equator and is a critical transportation hub. It is also very hot and humid all year round, and it is not a dry heat by any means. More like a hot towel on your head heat and I always kept the water bottle handy during sports practices; poured it on my head. Got accustomed to the weather and prefer it over winters. The population during my years there was around 2.5 million and now is over 5 million. Needless to say public transportation is encouraged and cheap. That said, the roads even though heavily travelled are better than the U.S. and there are numerous expressways. Also, Singapore Slings are worth trying. Seeing as the climate is what is expected of a jungle, perhaps there was this sense I was being raised as a ‘Man Cub’ akin to The Jungle Book. Ate off banana leaves for dinner many times, come to think of it quite green indeed. I could eat Asian food everyday along with a steady stream of mangos, papayas, and rambutans. Used chopsticks more than utensils. Ikan bilis was a good snack with a Kickapoo. Instead of deer, turkeys, rabbits, bears, and foxes that are typically seen in the countryside around where I live now, some of the notable animals encountered in the Asian countryside (i.e. jungle) travels included monkeys, elephants, yaks, monitor lizards, and komodo dragons. That was just on land. Growing up in Singapore also meant being adaptable and open to learning another language. English is predominately spoken and Singaporeans typically speak multiple languages; with Chinese, Malay and Tamil being the others. I was able to have basic conversations in Malay and found that it goes along way to relating well with others; namely making the effort to learn and speak their language. I remember distinctly getting home one night when a cab driver spoke no English and only Chinese. In addition to ‘How are you’ and other basic gratitudes in Chinese, I knew how to say left, right, and straight; it worked! As an aside, one of the most notable athletes in the U.S. and three time Olympian is a TCK. It seems it’s not well known that Kobe Bryant is fluent in Italian, he left the U.S. and moved to Italy when he was six. He learned the language and it has stayed with him. It is quite impressive and he can switch between English and Italian with ease. 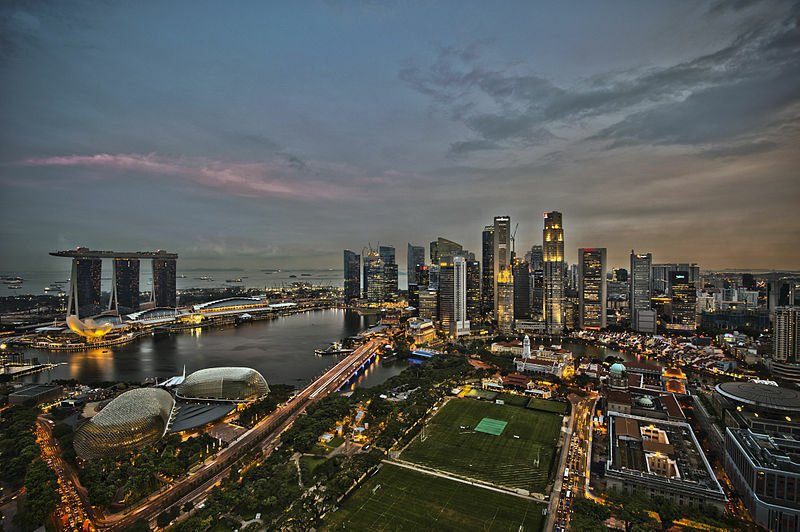 As I wrote in a journal on my journey back there in 2006 on leaving the U.S. as a nine-year old lad for a place unknown “…I would not have experienced what I have experienced had I not grown up in Singapore. It is not only who I was as an adolescent, but is certainly part of who I am in the present as an adult.” In other words, I am at home being a TCK. I hope other TCKs reading this are as well. 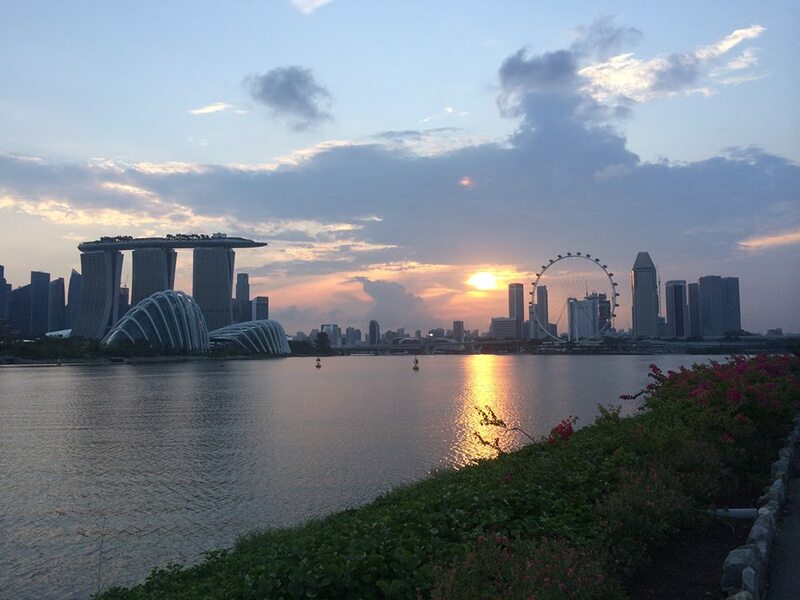 My return to the U.S. was one of reverse culture unease as I missed Singapore upon my return, however adapted and the U.S. became home again over time. There are still aspects of my life that reflect my Asian upbringing. I will buy groceries at Asian markets that can’t be found at regular supermarkets. There are Asian dinner nights with my kids and they love curry, palek paneer, naan, and mango lassis. For fun, speaking Malay also helps clear up occasional miscommunications. I go to a church in the city of Richmond with a diverse base of nationalities and races; my Dad remarked to me “I know why you go there (having grown up among many races and nationalities) it looks like Singapore to you.” He knows me well. My kids kept asking me to take them to where many of my life stories originated. When my youngest was ten, so the reality would be memorable for her, became just that in the Summer of 2014, and will forever be A Journey We Will Always Remember. Also want to express to my son and two daughters that I am truly at home not in my mind going back to my days in Asia, rather in the present as your Dad where we are and when I am with you, together in Richmond, Virginia. And with that, Selamat Malam (or Pagi). Terima Kasih for the encouragement and appreciate your kind words and support. Sincerely appreciate your kind words and support. Terima Kasih (Thank you).